History hasn’t been kind to the fifth films in movie franchises, whether it’s Rocky V, Star Trek V: The Final Frontier, or Police Academy 5: Assignment Miami Beach. 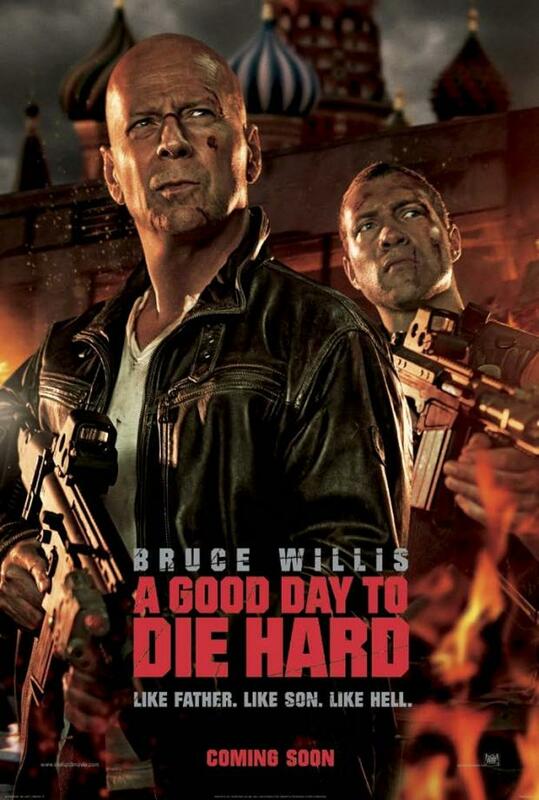 With the return of no-nonsense cop John McClane in A Good Day To Die Hard, Bruce Willis’ iconic action hero joins the somewhat dubious club of characters that have spawned at least five films’ worth of adventures, for better or worse. Fortunately for Willis, the bar is set pretty low when it comes to fifth films – and luckily for audiences, the latest installment of the Die Hard franchise manages to provide some entertaining, explosive moments for McClane, as well as some impressive set pieces that set it apart from the long list of fifth-film flops. 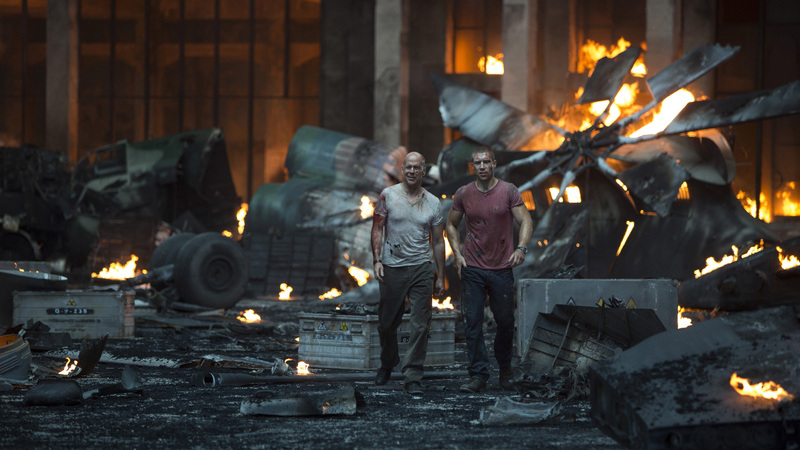 A Good Day To Die Hard finds an older but still ornery McClane heading off to Russia to find his estranged son, Jack McClane (Jai Courtney), who was recently arrested for murder. As anyone familiar with the Die Hard movies should expect, McClane quickly finds himself on the wrong side of some seriously well-armed villains, and the father-son team must overcome their differences in order to take down the bad guys and foil their diabolical plot. It doesn’t take long for A Good Day To Die Hard to reveal exactly which type of Die Hard movie it’s going to be. While the first installment of the franchise was a relatively gritty action movie that wasn’t afraid to beat the living hell out of its hero, subsequent films have pushed McClane further into superhero status, having him battle bad guys on top of a fighter jet in mid-flight, drive a car into an assault helicopter by using a conveniently placed ramp, and various other feats of heroism that make the McClane of the original Die Hard seem like a relic of simpler times. A Good Day To Die Hard only amplifies the fantastic carnage and over-the-top action sequences of its predecessor, 2007’s Live Free Or Die Hard – which is saying a lot, given that the last installment featured both the aforementioned fighter-jet brawl and the physics-defying, car-vs-helicopter collision. Neither of those sequences hold a candle to a car chase that unfolds during the first act of the new film that may set a new record for on-screen vehicular destruction. For his part, Willis is set on autopilot as McClane, who now seems to be the actor’s default character in nearly every film. 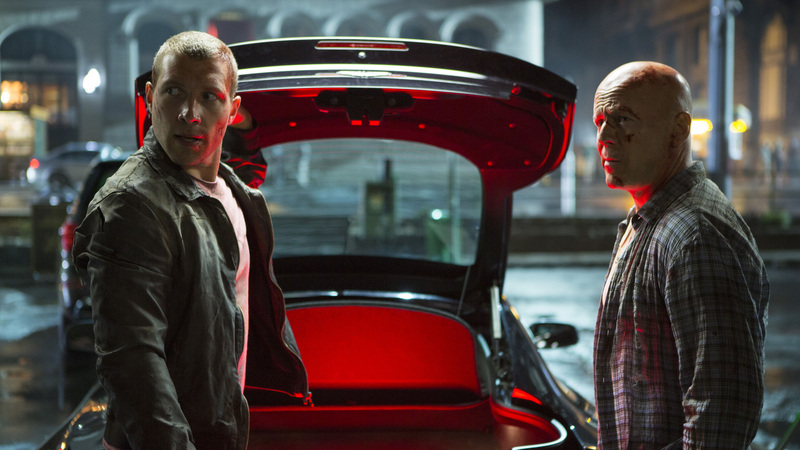 No one does “reluctant hero” quite like Willis, and though the level of stunts McClane will consider pulling has increased exponentially with each installment, the new film sticks with what works in other areas, like having McClane repeatedly complain about all of the action ruining his vacation while dropping catchy one-liners every time he offs a bad guy. Willis’ co-star in the film also does a nice job of holding up his side of the action, with the Spartacus: Blood and Sand actor even stealing some of the spotlight from Willis here and there. Courtney makes a strong case for himself as a competent big-screen tough guy, despite the lack of many complicated fight sequences in the film. On the other side of the hero-villain dynamic, however, A Good Day To Die Hard falls short of the precedent set by previous films in the franchise when it comes to the villain forcing McClane into action yet again. Neither head mercenary Alik (Radivoje Bukvic), nor any of the other top-level villains in the film offer a memorable foil for McClane and his son, which is disappointing given the list of great performances the franchise has provided thus far. While Alan Rickman’s Hans Gruber in Die Hard and Jeremy Irons’ Simon in Die Hard With A Vengeance are tough acts to follow, the villains of A Good Day To Die Hard manage to be the least memorable of all the Die Hard villains, despite their presence in some of the most explosive, eye-catching action sequences of the franchise. And even though the action sequences in the Die Hard films have grown to near-ridiculous levels with each installment, these leaps in spectacle have been accompanied by equally impressive drop-offs in story, dialogue, and plot devices. This time around, it’s the father-son reconciliation story that drags down the film’s pacing and always seems to inject a funny or touching moment of familial dysfunction where it’s least needed (or wanted). At times, the movie seems uncertain of whether its supposed to be a heart-warming story about the things a father will do for his son or a super-charged, bullet-riddled action film- so rather than make a decision, it just crams tropes from both types of films into as many scenes as possible. Still, A Good Day To Die Hard does a nice job of offering most fans of the series exactly what they’ll want in a new Die Hard film. Packed full of call-backs to previous films and jokes that offer a wink to die-hard Die Hard fans, the latest chapter of John McClane’s continuing adventures raises the bar for what its hero can accomplish without becoming an outright parody of itself. It’s hard not to like Willis’ iconic, working-class hero. A Good Day To Die Hard doesn’t do anything to change that, offering a fun, fast-moving film that generally avoids the fifth-movie curse and makes for an entertaining big-screen adventure.